The multi award-winning Antonio Forcione, acoustic guitarist, composer and talented artist, is a highly charismatic and inventive performer. The World acclaimed guitar master is delighted to be performing at Pizza Express with his vibrant and original blend of jazz, Latin, African and flamenco sounds. 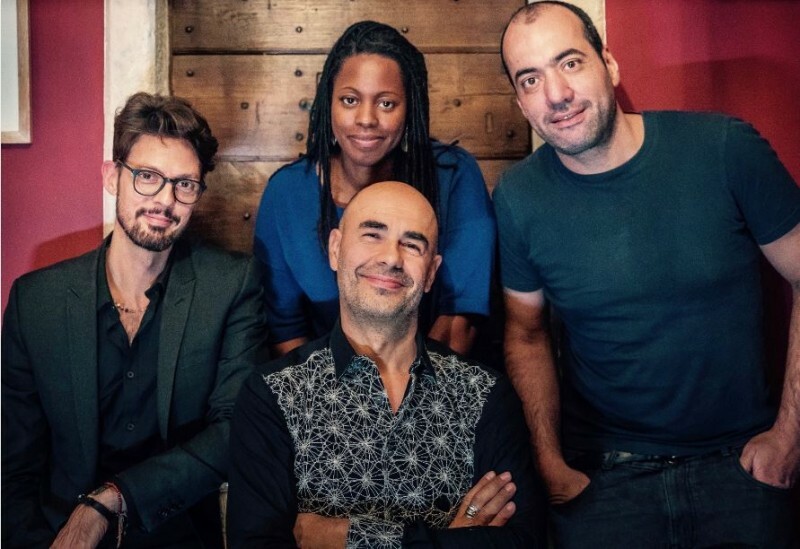 He will be performing with Matheus Nova on Bass and Emiliano Caroselli on Percussion/Drums and they will be joined by Jenny Adejayan on Cello. Antonio takes the guitar to new levels of expression and his numerous awards around the world are a testimony to his genius. Be prepared to both laugh and be moved as he celebrates the unexpected elements in life with delicacy, humour and not least, passion. International tours have brought high critical acclaim from as far as Australia and Hong Kong to Russia, the Caribbean, USA and all over Europe. His albums have variously topped UK and international jazz charts and he has shared the stage worldwide with some of the world’s most accomplished musicians.